Last weekend I was discussing with a potential clientele (India’s leading sports nutrition product company), they asked me if Social Media is an ATL activity or a BTL activity. It’s an interesting subject as Social Media can be considered as ATL or BTL depending on the approach. Hence I thought of writing a blog on this. ATL promotions are generally the mass promotion campaigns. Such campaigns are done basically for brand building, awareness and increasing the brand recall. Best examples are TV, Radio, Print etc. BTL promotions are the specific or targeted promotions to ensure the direct interaction with a specific audience. The best example would be flyers distribution etc. There is a new term called TTL (Through the line), which is a mix or an integrated approach for both ATL & BTL. And I would put Social Media as TTL, as it is a mix of both based on the planned promotions approach. Generic promotions of the brand which are not very specific to a set of an audience can be considered as ATL. Facebook Mass Advertising (broader targeting), Facebook generic brand postings, Google Display Ads & Mass Mailing campaigns can all be considered as ATL. Let me put an example of Facebook postings of my current clients & how 2 different content pieces can be positioned in ATL & BTL respectively. Content specific to a niche audience, well-targeted advertising, lead generation campaigns can all be considered as BTL activities. Below post can be a classic example of social media for BTL as the communication is pretty clear that it is for a specific audience in Pune. Mass mailing campaigns on one had can be treated as ATL, however now mailing campaigns does offer a lot of customization options so that your mass mailers also appear to be more personalized. For example, mails containing your name, company name etc (Merge Tags of MailChimp). On similar lines a tweet can be considered as an ATL promotion, however, a mention/retweet is a BTL activity. From a customers perspective, we always want a more personalized communication by brands. 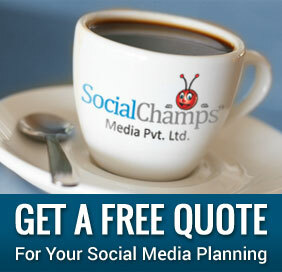 Social Media is enabling the personalized mass promotions. It means the line between ATL & BTL is getting blurred with amazing features offered by digital channels and advancement of technologies. wikll gett benefit from it I am sure.